I started diving on a rebreather in the early 1980s in the military. In the 1990s I became interested in the emerging sport of technical diving and in particular cave diving as a means to dive and explore remote and undiscovered environment. 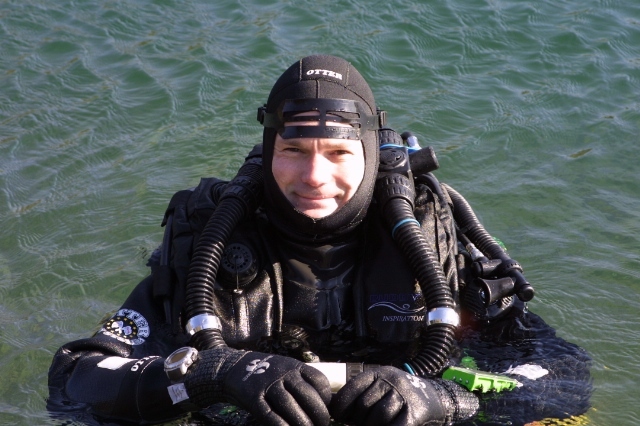 In 1997 I became a full time instructor and started EAU2 Advanced Diver Training specialising in technical diving, particularly overhead environments and rebreathers. I now teach technical divers, instructor and instructor trainers throughout Europe, Eastern Europe, Russia and North America. What PADI/TecRec certifications do you have? Tec 100 CCR Instructor Trainer on several units, Tec Trimix Instructor Trainer, Trimix Blender Instructor Trainer and Tec Sidemount Instructor Trainer, Rebreather Instructor Trainer on all Type R rebreathers, Tec Support Diver Instructor Trainer and Tec Rescue Instructor Trainer. I am also a Technical Field Consultant for PADI and have worked with them to develop and launch the Rebreather, Tec CCR, Sidemount and Tec Sidemount courses. Having learnt to dive on a rebreather in the military, my first recreational dives were traditional PADI courses and dives but the opportunity to dive in places where few if any people had been quickly led me to seek technical diver training with instructors such as Tom Mount, Kevin Gurr and Paul Heinerth. 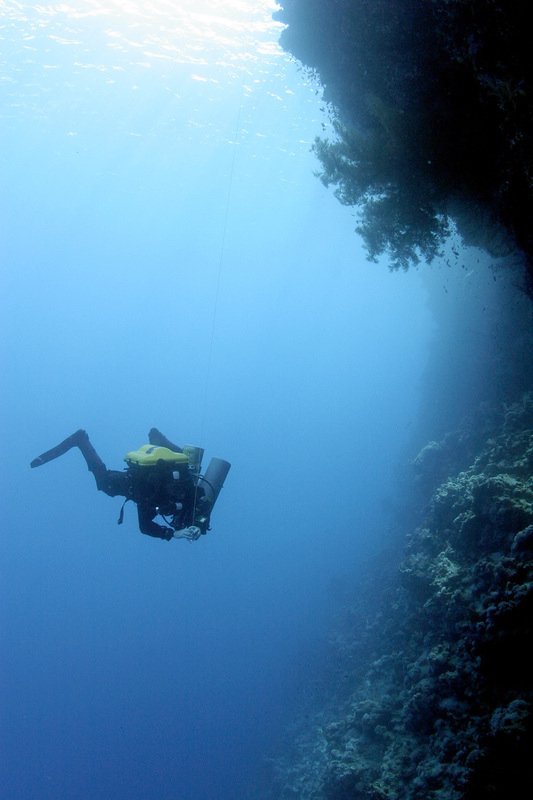 Cave diving is my true passion; it is the most exciting environment and I relish the challenges and rewards it brings. On a personal level the greatest challenge is constantly seeking to improve. The saying ‘poor preparation leads to poor performance’ could have been written with technical diving in mind. Repetition – nothing prepares you for diving better than diving. Logistics must be well organised and people well managed. This is often more challenging than envisaged. Before the dive I mentally rehearse the planned dive over and over again. My best experience is reaching the end of a line in a cave and knowing that I am the first human being to ever visit that place! It must be the right tool for the job, be as simple as possible but reliable and easy to maintain. A team player who shares the team philosophy and goals, who is self-disciplined, works hard and who can be relied upon when the chips are down but also knows how and when to have fun. Choose your instructor carefully, make sure they are an active technical diver and experienced instructor in the area you wish to train in. Don’t underestimate experience – do as much diving as you can and don’t rush – there are amazing diving experiences to be had at every level and I would be sorry to have missed out on any of them. Great write up! 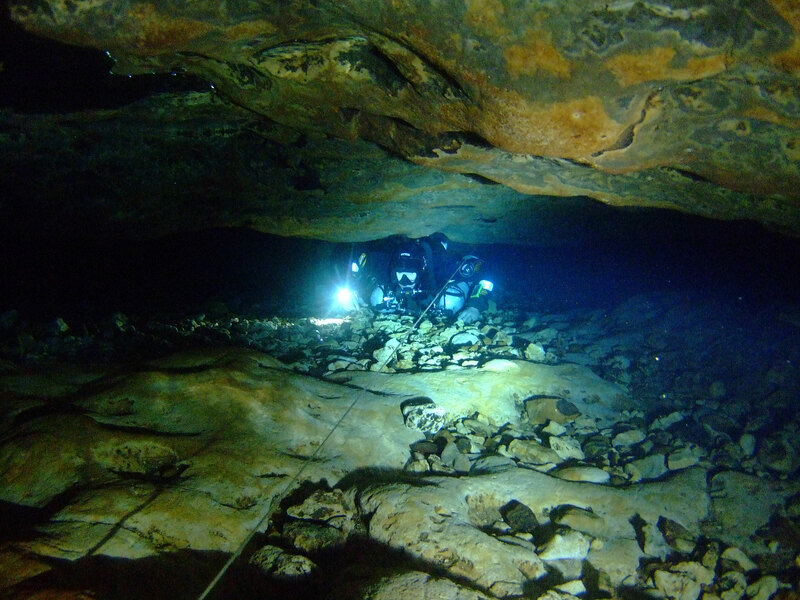 I would be interested in hearing more about your Russian cavediving experiences.